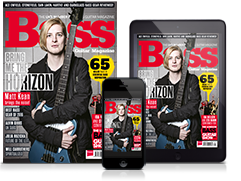 Peavey has launched its new MAX bass amp series, a typically well-thought-out line combining affordability, flexibility and portability. The 'ultra-lightweight' construction across the range houses one of the MAX series' key innovations, an angled baffle, which allows you to direct the sound at your ears and not your feet. In short, the low end is omni-directional, but the transient tones are directional, meaning you can hear yourself clearly without having to tilt the amp back on its heels. • MAX 150: 12-inch woofer, 150 watts. 16.25" x 12.25" x 18.5"
• MAX 250: 15-inch woofer with high-end tweeter, 250 watts. 18.25" x 13.5" x 21"
• MAX 208: Two 8-inch woofers, 150 watts. 10" x 20" x10"
• DDT™ speaker protection technology, which limits clips and is 'ideal for slapping and other loud playing scenarios'. The MAX series is on sale now in the US with prices ranging from $199 to $449. We'll bring you UK and Euro prices as soon as we have them. 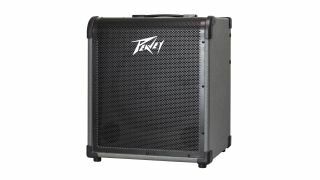 Head on over to peavey.com/maxbass for more information.